Discover The Simple Secret To A Powerhouse Offense, Even If Your Blockers Are Small or Inexperienced! Instead of blockers being assigned specific matchups, they move together as a unit. Each blocker takes on any defender that comes into his specified area. And blocks him in whatever direction gives the most leverage, rather than away from a certain hole or side of the field. It's a time-tested offensive strategy, with a number of important benefits. One of the best reasons to use zone blocking is SIMPLICITY. No matter what defensive front you’re facing, the blocking responsibilities are the same. So there’s no need to memorize 5 different rules to run the same play. In a zone blocking scheme, agile, fleet-footed linemen are a huge plus. You don’t need 300-lb behemoths to make this work. So it’s perfect for faster teams who are a little undersized. Zone blocking creates much more flexible running lanes. So if you’ve got a talented back who can wait behind blocks, spot the hole, and burst through it to the second level… then this is something that HAS to be part of your playbook. Inside the Zone Runs Playbook, you'll discover 10 game-tested plays to dominate your opponents, score more TD's and win more games! Each one is easy to learn and simple to teach. Singleback Big - Inside Zone: A staple of any zone running team. 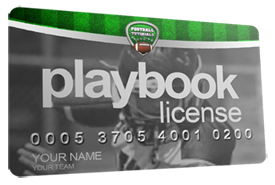 Pound your opponents with this one and it will quickly open up the playaction pass. Shotgun Trips TE - Read Option: A great way to use your QB's running ability to give your team an advantage at the point of attack. Here's another key advantage to zone blocking. It's VERY difficult for the defense to pick up on play action. Every single player, from the quarterback down to the last offensive lineman, will be moving the exact same way from the snap of the ball to the handoff, whether it’s a running play or play action. And this leaves the defense vulnerable to the best part of the zone running scheme – the play action pass. I Form – PlayAction Weak Zone Boot: Is the defense bringing a second safety up into the box? Call this play to beat them over the top for a big play! I've pulled together in one simple collection the most essential Zone Runs and Complementary Plays you need, to help your team build an unstoppable offense. 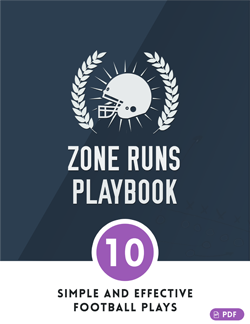 Click the Add to Cart button below to get instant access to the Zone Runs Playbook - Risk Free for just $7. YES, I want in! 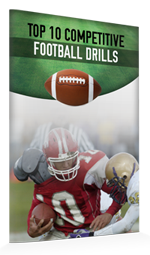 I want access to the Zone Runs Playbook, plus the extra licenses, the cheat sheets and the top 10 competitive drills. Please give me INSTANT access to this step by step offensive system right now! 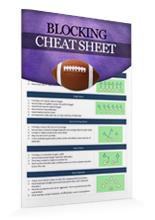 Just download The Zone Runs Playbook today and you'll get instant access to a complete offensive system you can start using today! 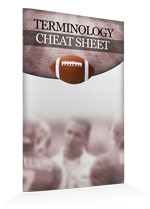 Click here to get instant access to the Zone Runs Playbook now for just $7! The Zone Runs Playbook is designed for youth and high school teams from age 6-18. 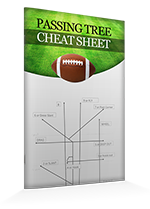 You’ll find a wide range of plays, from basic concepts to advanced strategies. 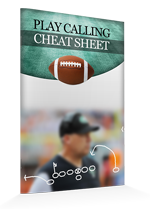 Hurry... Get The Zone Runs Playbook Now!